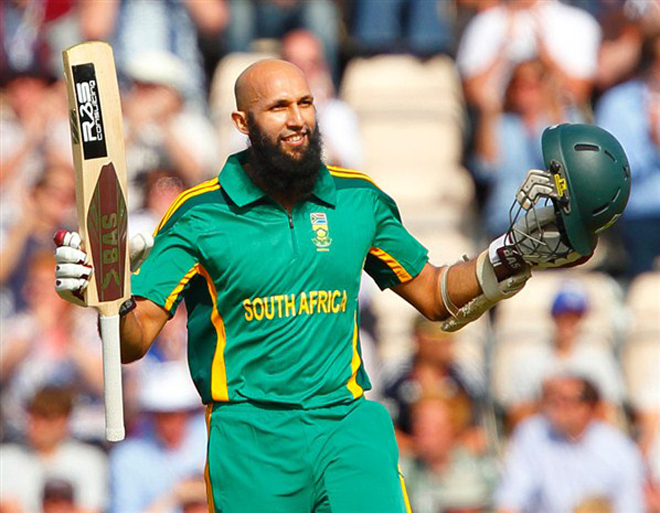 CAPE TOWN: Hashim Amla, JP Duminy and Aiden Markram all return to South Africa’s squad for the last two One Day Internationals against Sri Lanka as Cricket South Africa make changes with an eye on World Cup selection. Amla, 35, was rested for the first three ODIs, all of which were won by South Africa, after a poor test series last month amid growing speculation his international career is coming to an end. Duminy, 34, is back after being out of action for several months following shoulder surgery while opener Markram, a surprise omission from the squad at the start of the five-match series, has won his place back after back-to-back centuries in domestic competition. “Experience is always a key factor in major tournaments such as the World Cup,” said selection panel convener Linda Zondi as he announced the changes. South Africa face hosts England in the opening game of the World Cup at The Oval in London on May 30. Squad: Faf du Plessis (captain), Hashim Amla, Quinton de Kock, JP Duminy, Imran Tahir, Aiden Markram, David Miller, Lungi Ngidi, Anrich Nortje, Andile Phehlukwayo, Dwaine Pretorius, Kagiso Rabada, Tabraiz Shamsi, Dale Steyn, Rassie van der Dussen.